Smetimes when I go for lunch or dinner, I'll walk past an orange stray cat that is always sleeping. I began to notice her but she is never awake. Sometimes she lazed on the ledge of the bank teller, sometimes she lazed on the pavement but most of the time she is there. One night after my dinner, I purposely walked over to find her and for the first time I saw her awake. She was such a little pink-nose cutie walking over to me rubbing against my leg to show affection. After that night, she was gone, I was feeling sad and missing her even though she's a stray. It was my last time seeing her. 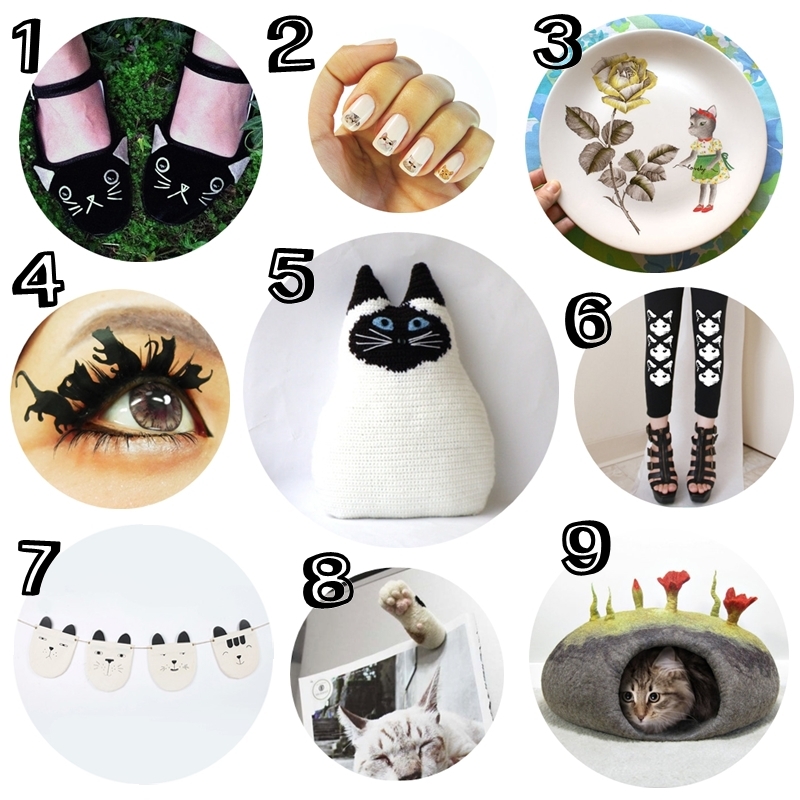 Anyway, this week I have picked a few cat related items of my likings, are there any of your likings too?